Fred Rewey is widely recognized for his negotiation, teaching, and deal structuring skills. His extensive background gives him a unique perspective on all aspects of the cash flow industry. Fred started his cash flow career in 1992 after discovering the idea of owning notes vs. property in a real estate investment class. Fred opened Take Note Investments which was initially self staffed and located on his kitchen table. 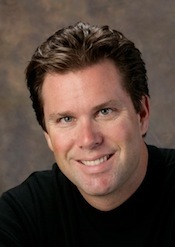 After a successful launch, and brokering numerous transactions, Fred began educating others through articles and presentations and served as President for the American Cash Flow Association from 2000 – 2007. Being an entrepreneur at heart Fred left to start his own businesses – and has never looked back since – teaching others how to do the same. By 2005 Fred was a member of the National Speakers Association (NSA) and had a book published by Wiley (Winning the Cash Flow War). As an industry leader, Fred Rewey is often sought for speaking engagements and television appearances. While traveling around the country to educate new entrepreneurs, Fred always finds time to ride motorcycles and occasionally, work on his golf game. Currently, Fred shares his unique insights and experience through a variety of online cash-flow efforts including NoteInvestor.com, FindingCashFlowNotesTraining.com, and BeTheLime.com.